Reaching more than 350,000 people a year through speaking engagements alone and over a million through resources, Dr. Maxwell is committed to developing leaders of excellence and integrity by providing the finest resources and training for personal and professional growth. Maxwell’s philosophy that “everything rises and falls on leadership” motivates every endeavor to help individuals reach their highest potential, both in the home office and abroad through conferences, books, and audio and video resources. His passion has quickly caught on, and countless organizations have benefited from his training and on-going support, including such renowned groups as Books-a-Million, AFLAC, Wal-Mart, Sam’s Club, and many more. Author of more than 30 books with more than 7 million copies sold, he works diligently to make leadership tools easily accessible and convenient for the busy business leader. Both a Time Warner and Thomas Nelson author, some of Maxwell’s hottest titles have landed on the bestseller lists of noted publications like The New York Times. His book, The 21 Irrefutable Laws of Leadership, surpassed the 1 million shipped/sold mark early in 2003. Maxwell resides in Atlanta with his wife Margaret. 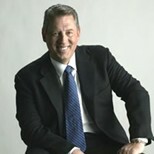 John C. Maxwell has a following in business, industry, professional sports, and public service. Maxwell’s unique brand of coaching has proven effective for sports organizations, where he has spoken to and mentored such groups as the NCAA Coaches, Green Bay Packers, Atlanta Hawks, San Diego Padres, USC Trojans, and the Indianapolis 500 drivers. He has logged over 4 million miles traveling and thousands of hours speaking to audiences as large as 105,000 people. • A leader is one who knows the way, goes the way, and shows the way. • The pessimist complains about the wind. The optimist expects it to change. The leader adjusts the sails. • Leaders must be close enough to relate to others but far enough ahead to motivate them. • Nobody cares how much you know until they know how much you care. • The greatest mistake we make is living in constant fear that we will make one. • The whole idea of motivation is a trap. Forget motivation. Just do it. Exercise, lose weight, test your blood sugar, or whatever. Do it without motivation. And then, guess what. After you start doing the thing, that’s when the motivation comes and makes it easy for you to keep on doing it. • Where there is no hope in the future, there is no power in the present. • As you begin changing your thinking, start immediately to change your behavior. Begin to act the part of the person you would like to become. Take action on your behavior. Too many people want to feel, then take action. This never works. John C. Maxwell is world renowned for his knowledge of leadership, and his book, The 21 Indispensable Qualities of a Leader (published by Thomas Nelson, 1999), is clearly the place to get started. But first, let’s start with a simple question: Why do some people consistently inspire others to follow their lead? According to John C. Maxwell, it is the “character qualities” they possess. In The 21 Indispensable Qualities of a Leader, he identifies these top traits and then defines them in ways that readers can absorb and utilize. 10. INITIATIVE: You Won’t Leave Home Without It. 11. LISTENING: To Connect with Their Hearts, Use Your Ears. 12. PASSION: Take This Life and Love It. 13. POSITIVE ATTITUDE: If You Believe You Can, You Can. 14. PROBLEM SOLVING: You Can’t Let Your Problems Be a Problem. 15. RELATIONSHIPS: If You Get Along, They’ll Go Along. 16. RESPONSIBILITY: If You Won’t Carry the Ball, You Can’t Lead the Team. 17. SECURITY: Competence Never Compensates for Insecurity. 18. SELF-DISCIPLINE: The First Person You Lead Is You. 19. SERVANTHOOD: To Get Ahead, Put Others First. 20. TEACHABILITY: To Keep Leading, Keep Learning. 21. VISION: You Can Seize Only What You Can. The real value of the 21 indispensable qualities comes in learning how to incorporate them into your life. That is where the power of John C. Maxwell’s book steps in.